On Wednesday, December 6, Notre Dame proudly welcomed Ben Jealous, candidate for Governor of Maryland, Susie Turnbull, Lieutenant Governor candidate, and their campaign staff for a rally about Medicare-for-all. Those speaking and lending their support included three nurses, Maryland Delegate Keanuu Smith, and past Presidential candidate, Senator Bernie Sanders. Following the incredible women, the charismatic Keanuu Smith, the youngest Maryland delegate at age 20, took to the stage. His message echoed the nurses’, allowing him to describe his own personal experiences of struggling with a life-threatening, yet incredibly expensive, disease. At only ten months old, he was diagnosed with a deadly cancer, with doctors predicting his seemingly inevitable death by age two. However, Smith happily stated that he’s been in remission since he was five years old, owing his survival to the support of his family and legislators like Jealous. Finally, Bernie Sanders, the infamous Presidential candidate, arrived at the podium. The crowd went wild with cheers, while the fervent rumblings of “Bernie 2020” could be heard from various corners of the assembly. Upon his entrance, Bernie declared that “Health care [was] a right, not a privilege,” arguing that politicians, like Jealous, were paving the way for a bright future – a future that involved universal health care and medical support for all who need it. Speaking for a mere twenty minutes, Bernie soon welcomed the man-of-the-hour on stage. Ben Jealous, former head of the NAACP (the National Association for the Advancement of Colored People) and hailing from the Democratic side of politics, listed a variety of his potential plans as governor, but nothing was more prevalent than his staunch views on universal health care. “We can! We must! We will!” he repeatedly proudly exclaimed to the exuberant audience, later detailing his crucial points for improvement within the medical system, including proper medical support for those struggling to pay the high costs of insurance. If elected, Jealous plans to continue the work he’s been doing in the government, including lending his support to underrepresented and underprivileged demographics, specifically the POC, LGBTQ+, and immigrant communities, as well as pushing forward legislation in-favor of Medicare for all. Geana’s sentiments were easily shared across the institution. Regardless of political affiliation, this appeared as a shining moment for NDMU and its students, allowing the chance to fully participate in a political rally. A unifying moment, history was truly made this December on Notre Dame’s campus – no better place could have been chosen than a community so focused on empowering others and transforming the world. 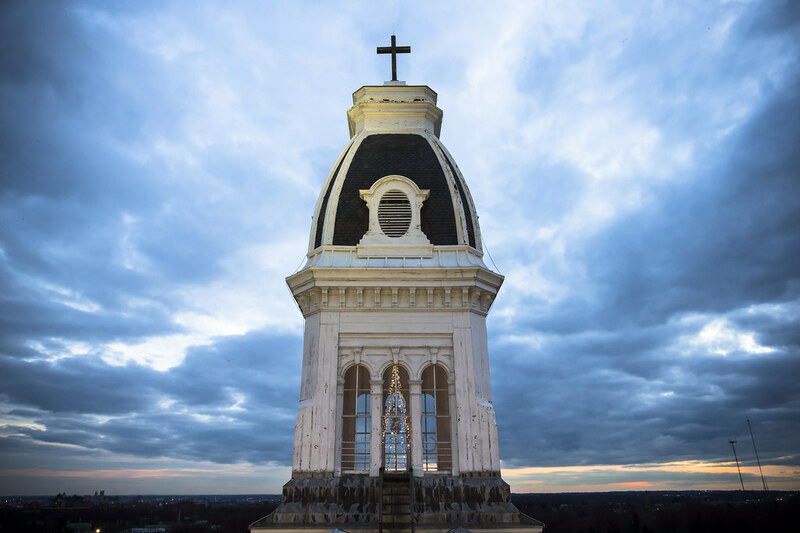 The 2018 Maryland gubernatorial election will take place November 6–until then, the Notre Dame women will be awaiting their ballots.